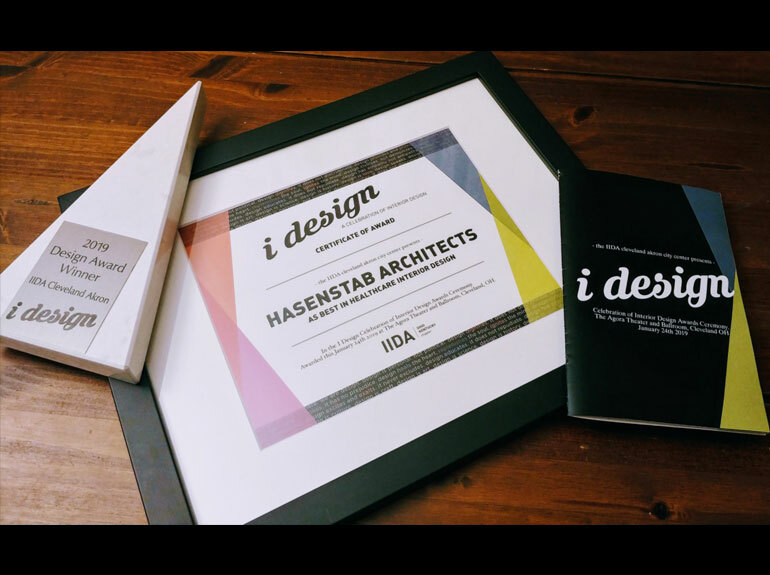 Hasenstab Team Wins IIDA Design Award - Hasenstab Architects - Located in Northeast Ohio, Hasenstab Architects specializes in healthcare, simulation, laboratory, research, higher education, k-12, and office design. It was a great night at the IIDA Cleveland Akron awards ceremony – Our team took home the honor of Best in Healthcare Interior Design for our Akron Children’s Hospital Mahoning Valley Building A Addition! Judges evaluated all submissions based on the aesthetic, functional, contextual, social and sustainable characteristics of the design. Read more about the Akron Children’s Hospital Mahoning Valley Building A Addition here.